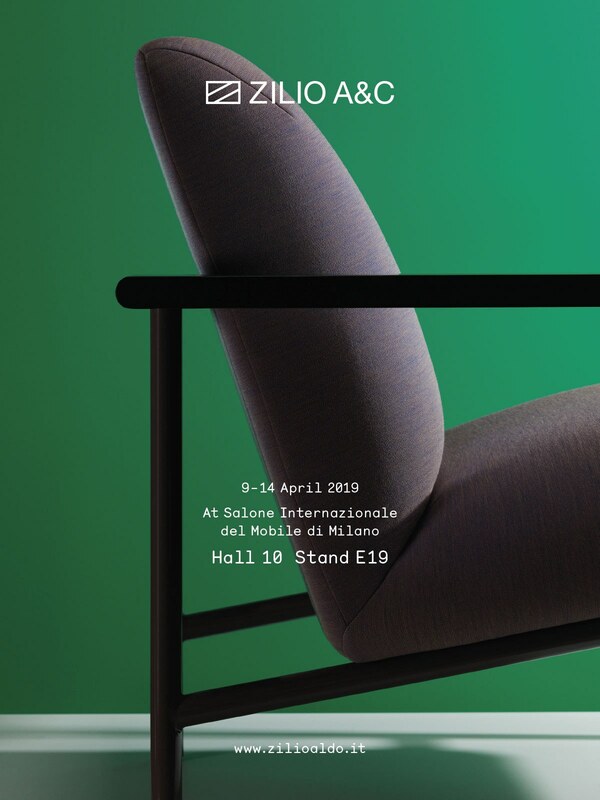 The 8th edition of Forme e Colori, Presented at hall 10 stand E19 during the Salone del Mobile.Milano this year, introduces three new products to Zilio A&C’s collection, and celebrates the key elements that define the design of our products — form and colour. Our latest collaboration with London-based designers Mentsen, is a lounge chair called Kinoko. The soft curves of upholstered cushions are closely framed with slab-like wooden armrests and straight column legs. Kinoko is available in two versions: with a solid wood frame, or with a slightly slimmer metal frame. This year we welcomed two young design studios into our family of design partners. With German designer Peter Otto Vosding, we present Sledge: wall-mounted coat hooks with a simple and clean visual language. The curved body of Sledge is made in steam-bent ash. Two additional nylon hooks are inset in the wooden surface for hanging smaller objects. 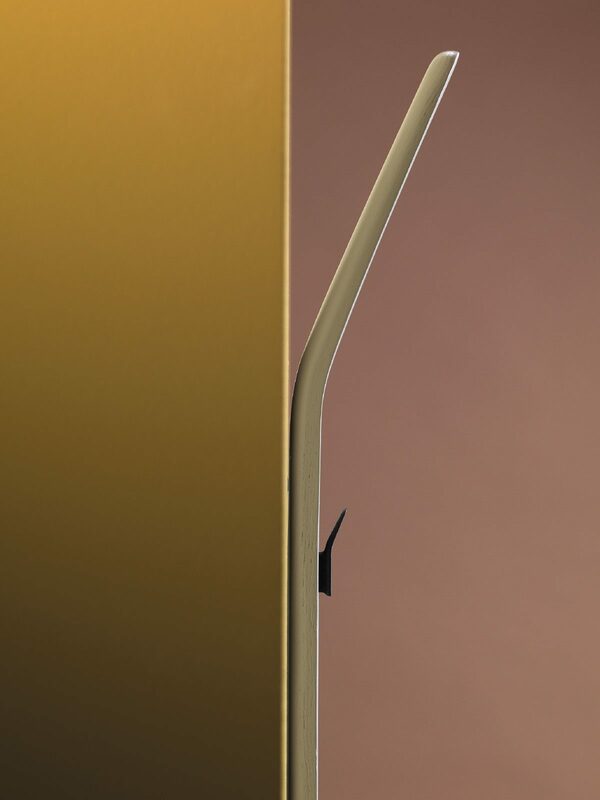 With TA Design Studio, co-founded by designer Chung-yen Chang and Tian Jin in Milan, we developed Hug. 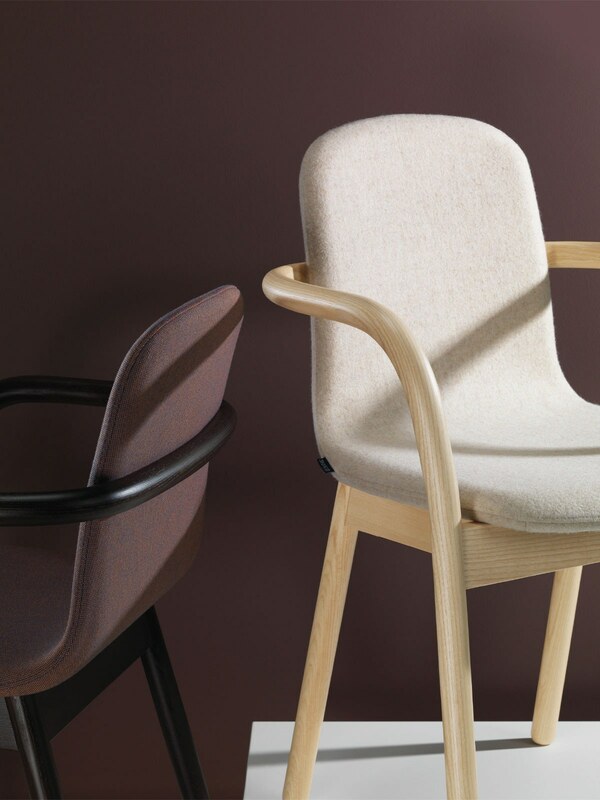 The upholstered dining chair has an enveloping line that forms the armrest and front legs. Chung-yen and Tian say the name Hug stands for Humane, Universal and Genuine — but also, simply the feeling of receiving a warm hug.